Top 6 Considerations for Upgrading your Wi-Fi Solution | Consolidated Technologies, Inc. : Consolidated Technologies, Inc. 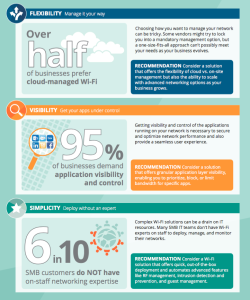 The growing need for users to be productive on their mobile devices is driving organizations everywhere to look for ways to cost-effectively build and support Wi-Fi networks that deliver the best connectivity and user experience. 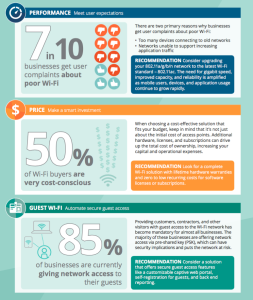 Aruba, a Hewlett-Packard Enterprise company, surveyed over 4,000 individuals to better understand the current pain points and unique requirements of Wi-Fi buyers. Respondents represented solution providers working with customers across the USA, Canada, and Latin America. To learn more, Contact Us Now!